Updated 01/24/2018 - New version for 2018/19.. This tool will display your current bills with 2016/17 rates. It will also display your current G1-G4/Irrig service class rating and other statistics. You may also compare your bill using the new 2018/19 rates and rates from other utilities and coops in the PNW. 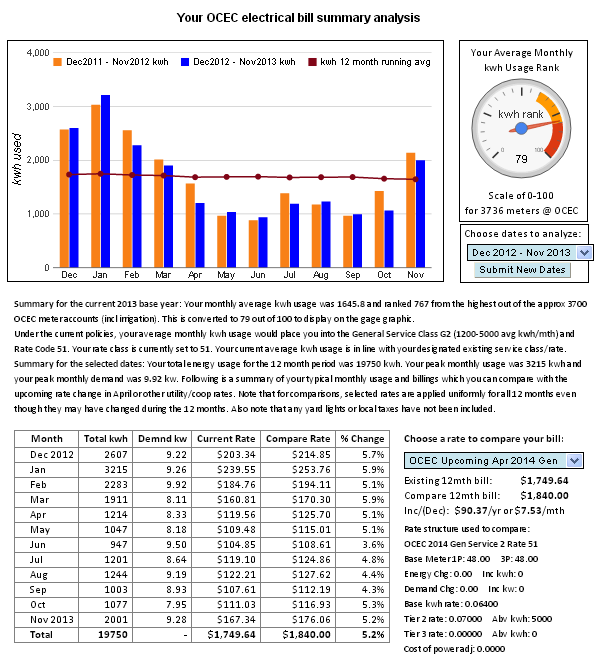 After record selection, a new window will open and display your kwh usage, rate calculations and statistics. If you need help, contact the OCEC office at 509-996-2228.